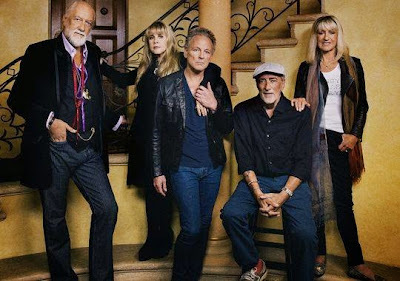 Fleetwood Mac ended their show in Lincoln, Nebraska early on Saturday after drummer Mick Fleetwood fell ill during the concert. The band regrouped and played two more songs, “Go Your Own Way” with a drum tech behind the kit and then, after a short break, Christine McVie returned to the stage at a grand piano for “Songbird” accompanied by guitarist Lindsey Buckingham. The group released an official statement, saying “Last night's Fleetwood Mac show in Lincoln, Nebraska ended a few songs early when the band's founder and drummer Mick Fleetwood became ill with the stomach flu. At this time, the band is still scheduled to perform in Grand Rapids, MI on Tuesday." Fleetwood Mac have been playing shows across North America in recent months; the trek sees the return of keyboardist McVie, creating a reunion of the group’s hugely successful mid-1970s lineup.